Today, a good friend sent me this picture of the backside of a british parking ticket. I share this picture with you for two reasons: Entertainment and education. According to the Bluetooth® Brand FAQ the Camden Metropolitan Police clearly infringes one of the six commandments stated there. 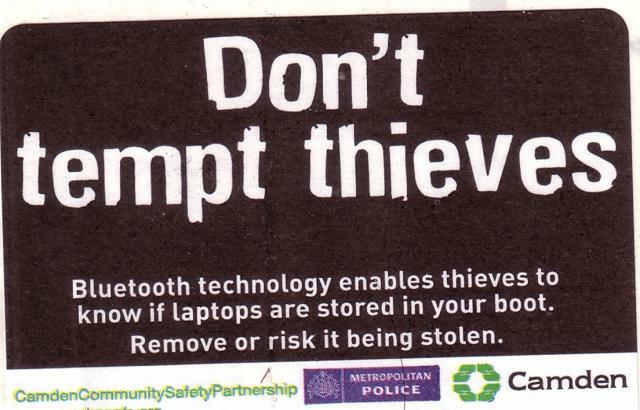 Obviously, the Camden Metropolitan Police didn't read the news during the last months... they wouldn't be the first ones to undergo "a Bluetooth® SIG masterminded raid" as it happened to a Shenzhen factory earlier this year. Do they really advise to "remove" Bluetooth?